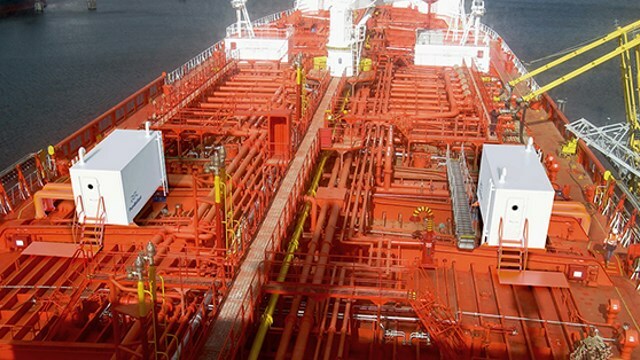 A new Alfa Laval PureBallast 3 Ex deckhouse solution has been validated for product tankers with Framo ballast pumps. The solution allows Alfa Laval PureBallast 3 Ex to be installed on deck – without any changes to the ballast pumping system on board. Modern product tankers use submersible ballast pumps to eliminate the ballast pump room and create more space for cargo. This means their ballast water treatment systems must often be installed in a deckhouse. However, the filter backflushing sequence may require water pressure in excess of available pressures from today’s market-standard ballast pump design. The new deckhouse solution incorporates a booster pump unit into the PureBallast 3 Ex system, as well as other modifications to increase backflushing pressure. 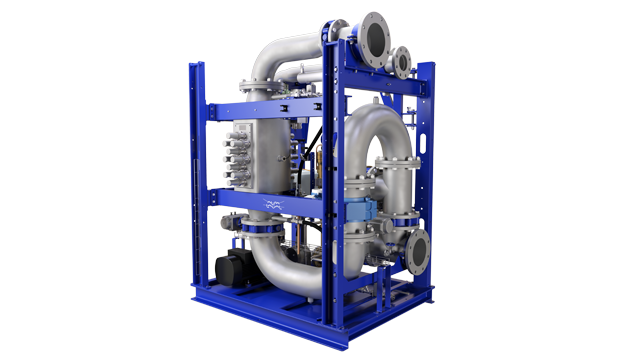 The modifications ensure that sufficient backflushing pressure will be generated by the ballast water treatment system itself. Reviewed by DNV-GL, the solution has been validated at the Framo pump testing facility for use on product tankers with Framo ballast pumps installed. Because the modifications fall within the current U.S. Coast Guard type approval and revised IMO G8 certificate for PureBallast 3 Ex, no additional certifications are necessary. The deckhouse module includes not only the PureBallast 3 Ex system, but also HVAC, lighting and all necessary pipework within the deckhouse. “With a complete deckhouse solution that is validated from both pumping and ballast water treatment perspectives, we have a full answer to the needs of product tankers,” says Lindmark.